The Amazon Hunter is an expert hunter that knows no equal in the art of jungle warfare. Her powerful lance is used to keep her enemies at a distance while she unleashes her onslaught. She is said to have been raised amongst the animals of the jungle, thus the reason for her fierce, animal like killer instincts. 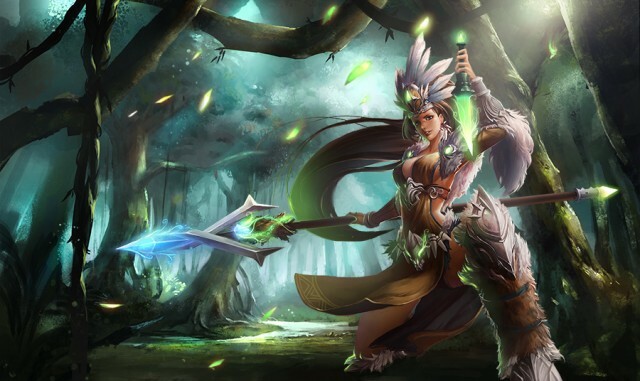 Skill: Death Throw – Deals (240% PATK +800) damage to a single target, ignores defense, has a 6% chance to deal double damage (in addition to CRIT damage), afterwards increases the Jungle Hunter’s CRIT rate by 32%, lasts for 2 turns.